These figures have been trotted out in the past year by everyone from Steven Pinker to Nick Kristof and much of the rest of the Davos set to argue that the global extension of free-market capitalism has been great for everyone. Pinker and Gates have gone even further, saying we shouldn’t complain about rising inequality when the very forces that deliver such immense wealth to the richest are also eradicating poverty before our very eyes. The graph casts this as a decline in poverty, but in reality what was going on was a process of dispossession that bulldozed people into the capitalist labour system, during the enclosure movements in Europe and the colonisation of the global south. Hickel’s other beef is that the “poverty line” is based on $1.90 per day, and should be much higher: around $7.40. If you use the higher figure, says Hickel, then the “number of people” (not the proportion of people) living below the line has increased since 1981, and the gains—people rising above that line—have taken place mostly in China. What this suggests, and what Hickel admits, is that income inequality may have increased, not average well being. For example, if you put the poverty line at, say, $100,000 (just for grins), then yes, the number of people living below that line may have increased due to an increase in inequality of income since 1981. But that tells us little about the average well-being of people. I can’t remember the data about this you adduce in your books, but in view of what you said there should be something wrong with this. What is it? Steve wrote me a long reply (kvetching in the first sentence! ), but nevertheless defended in an email the global consensus of decreased poverty. And again I asked him for permission to put up his email here, and he kindly agreed. As before, there was no understanding that what he was writing would appear on this site, but I asked and he allowed it to appear. I think this is good, for normally Steve wouldn’t publish a response to an article like this, but the informality of this site allows me to put up his email take on what seems to be a misguided argument. As usual, Pinker answers in perfect, publishable English. (Nobody writes better emails!) Here’s his response to Hickel’s piece. Not sure why I should be the one to defend the consensus on global economic development against a Marxist ideologue enabled by the Guardian—I’m just a cognitive scientist who cites data from the real experts—but here are some observations (all of them made in the chapter on Wealth in Enlightenment Now). 1. The massive fall of global extreme poverty is not a claim advanced by me, Bill Gates, or people who go to Davos, but every politically neutral observer who has looked at the data, including the Nobel laureate economist Angus Deaton in The Great Escape, the United Nations (which declared its Millennium Development Goal of halving extreme poverty as having been met five years ahead of schedule), and other experts in global development (who bolster their data with observations they have made while they spent time in the poorest countries), such as Stephen Radelet, Charles Kenny, and the Roslings. A comprehensive overview can be found (as always) in Max Roser’s Our World in Data in the entry on Global Extreme Poverty. 2. The level at which one sets an arbitrary cutoff like “the poverty line” is irrelevant — the entire distribution has shifted, so the trend is the same wherever you set it. 3. It’s not just China, or even China plus India — many poor countries have seen spectacular poverty reductions, including Bangladesh, El Salvador, Ethiopia, Georgia, Mongolia, Mozambique, Panama, Rwanda, Uzbekistan, and Vietnam. This is on top of rich countries that not so long ago were dirt-poor, such as South Korea, Taiwan, and Singapore. 4. Hickel’s picture of the past is a romantic fairy tale, devoid of citations or evidence, and flatly contradicted by historians such as Fernand Braudel who have examined contemporary accounts of life in previous centuries, and economic historians such as Angus Maddison and his students who have tried to quantify it using wills, government records, and other data. 6. It’s also borne out by a sanity check from people who have actually spent time in poor countries and have observed what life is like in them—not just development experts, but also biologists I know who have visited their field sites in Africa annually for many decades, and who have remarked on changes that can be seen with the naked eye: stores that have food, kids that wear shoes, people that are overweight rather than starving, shanties replaced by cinderblock, poor people with bicycles and TVs. 7. The political agenda of Hickel and other far leftists is obvious: it’s humiliating to their world view that the data show massive improvements due to markets and globalization rather than an overthrow of capitalism and global redistribution (see the quote by David Graeber in “Enlightenment Wars,” and the back story on Hickel’s radicalism in this article, originally published in The Telegraph). UPDATE: Hickel has replied to Pinker’s criticisms on his (Hickel’s website): go here to see them. This entry was written by whyevolutionistrue and posted on January 31, 2019 at 9:45 am and filed under sociology. Bookmark the permalink. Follow any comments here with the RSS feed for this post. Both comments and trackbacks are currently closed. I wish he would regularly publish responses to articles like this, but he seems like he’s just too nice of a guy to engage with this BS. Furthermore, I doubt the places that publish these articles would also publish his responses, so I guess the people who were originally misled wouldn’t get to see it regardless. Still, I wish there was a way for great thinkers and doers like Pinker and Gates to respond to such articles in a way that would reach the people who originally read them. It’s like the recent claim by some company that said they were going to cure cancer in a year but they need money. That got passed around all over social media. Finally some science sites debunked it but not until all the “they have the cure to cancer but they won’t give it to us because they make money” crowd felt justified by both the article and the debunking. All the damage was already done. I used to comment on the Guardian opinion pieces, trying to balance the assertions in the opinion pieces and comments with alternative opinions and corrections to facts – where warranted. While I cannot claim to be some great thinker I was depressed to see how often people repeated debunked opinions and facts as if there had never been any challenge. There are still some good articles in the Guardian… but there is also a great deal of tribal backslapping. In the end I decided that the idealogues would rather be right on! than correct, and I cancelled my account. He might also have better things to do than write rebuttals to every lamebrain bit of sophistry that manages to find a publisher! Perhaps Pinker’s Bulldog? Or Pinker’s Lion, to put it in the cat family? I’m an economist with training and interest in economic history. Hickel couldn’t be more wrong. As Pinker said, he is romanticizing about “abundance of resources available to people but little use for money”. The extreme-poverty figure is not derived from checking people’s bank accounts. In earlier times, it is based on estimates of per capita domestic product – While the estimates vary (as is natural with estimates!) – Economics histroians agree that the condition of men (everywhere!) prior to the industrial revolution was “brutish and short”, except for an incredibly tiny minority – And the large increase in living standards all across the globe since the mid 20th century is a thing of beauty. I fear that Hickel is not some “poverty-skeptic” with understandable qualifications about the quality of data – but rather a marxist ideologue. These are the same people who said Mao and Stalin were great stalwarts of humanity, as they starved and executed millions. The communist party where I live still touts for example that the situation in Venezuela is due to an attacks by the CIA and wealth owners. I bett that even the “wage slaves” in the 19th century, who were arguably underpaid, were still better off than the average non-noble citizen in the 17th century. Well, in Europe under the feudal system, the average “citizen” was very nearly a literal slave. Hickel’s myth making about free people freely working a land of plenty seems particularly inexcusable. The guy lives in Europe. Has he not heard of serfs? Of famine? He may have been referring to indegenous peoples living off the land which had not yet been taken over by colonialists. To be sure, theirs was not necessarily all peaches and cream (consider the extraordinary cruelties of ancient Mayans), but of course there were many instances where people were pretty well off before the Europeans came. And in many places, *demonstrably worse*. Is the over-all picture better? Hard to say. In the case of the Inuit (for example), their food intake was very spiky. So they were rarely starving, but when something bad happened, a small group would just disappear relatively quickly. I have a feeling Hickel thinks that Native Americans and sub-Saharan Africans were almost all hunter-gatherers or something before colonization. Civilization was rampant in the Americas, and Africa. They weren’t as advanced as Europeans in certain crucial areas (such as weaponry), but the average person lived much like the average European (or Asian) of the same era. Thank you. Hickel seems to think governments, classes, trade networks, industries and agriculture didn’t exist outside Europe before European colonization. It’s the racist “Noble Savage” myth extended to the whole non-European world. It’s also a healthy dose of the disdain toward modernity that affects a lot of pseudo-science as well. This has now taken up residence in Marxist thinking. Shame. I don’t think indigenous people were better off than Europeans in pre-capitalist times. Maybe on a few islands. The Mayan civilisation probably does not fall into Hickel’s abundant subsistence category. They would probably be considered colonisers as per European colonisers but not as technologically advanced in military terms. If you take the World as it existed in the 17th century, you woulds already see most humans living in organised societies. Even then, I bet the people living in “abundant subsistence” were a small minority. Also, contrary to Hickel’s assertion, the resources in these abundant subsistence economies were not free. He makes the classic mistake in assuming that your own time has no value. Sure you can just take a piece of commons land to grow your crops, but you have to clear it, cultivate it, harvest it and defend it yourself. Having to do back breaking work for all the daylight hours there are just to collect enough calories to survive is not my idea of being well off. One fact that is easy to lose sight of is that there were so few people in the world in ancient times. Often they could abuse natural resources all they wanted and it wouldn’t make much difference to the planet. Some look back on those times and fabricate stories about how people respected the Earth, nature, etc. Perhaps they did but only because they had no choice. Talk about White Knight Hickel pushing the “Nobel Savage” trope. The life of working the land was brutally hard, even for those who actually worked for themselves as opposed to being a serf, tenant farmer, or indentured servant. Jefferson may have praised the yeoman farmer, but it was hardly the glorious way of life he mythologized. This is why in the U.S. with the coming of the industrial revolution, rural people fled to the cities, even if it meant working in terrible factory conditions. Being industrial workers was far from a picnic, but it was apparently better than working from sunrise to sundown on a farm. I have to wonder if he is not somehow expressing his ideas on the early American Indians and then later as they were eliminated or forced to the reservations. Kind of — as if all people in history experienced this same thing. It’s very strange. If so, he forgets their empires. Using GDP is not a good idea – it does not show the inequality, allows recovering from nasty externalities to count, etc. GDP is a terrible measure. But it’s one of the least worst there are. My point was that Hickel’s critique is nonsensical. He alludes to what economic justice advocates point out: suppose GDP rises 10%. What does that tell you about the worst off? Absolutely nothing – it is consistent with a *lowering* of their standard of living. In fact, this has happened several times. “Contrary to the arguments of such scholars as Peterson, we are certain that local economic growth does not necessarily promote the public good. Even in terms of helping the fiscal condition of the city, the long-term consequence of growth can be negative. Hickel isn’t the first to challenge neoliberalism and he won’t be the last. I think a better metric than using cash would be to look at how many hours of labor it took the average person to accumulate the calories they needed for a given day. In addition, to look at the spikes and troughs of caloric access. Given the widespread availability of food in the world today, the ease of procurement and how we have substituted agricultural labor for higher-value efforts such as service and manufacturing. The average person’s access to consistent and nutritious food supplies is better today than our ancestors. In, addition there is a host of services and goods that are readily available to poor people today that would have been unthinkable two centuries ago. The ability to find out about our ruling class, the ability to communicate across vast distances, and the understanding of how our health work have all contributed to an overall improvement to the quality of life of even the most impoverished. As we see the extreme poverty diminished in our species, we welcome these advancements. It’s a shame that some “academics” subscribe to an ideology that refuses to acknowledge the improvements we have made in hopes of propping up ideas that have not stood the test of time. This is why I mentioned the Inuit. While it is true that their caloric intake was “spiky”, it was actually quite good a lot of the time. In this case, someone said something. So what! Oh, it’s Bill Gates. Of course – a high value target. I like Bill Gates though! What could … oh, it’s not that what he said is “wrong”, _Bill_Gates_himself_ – the person – is “wrong”. Scandal! Who is next for the takedown? Wow Steven Pinker! It’s the start of a big cleanup! This is writing for daytime TV gossip shows, not journalism. The claims made by Hickel seem to be rather broad sweeping and lacking in citations. I say this. One of the problems with traditional newspapers such as The Guardian is that they won’t allow citations and they won’t allow graphs and plots (other than on the business pages). One thing is clear, Pinker fights with more chutzpah in these letters than elsewhere. I like it. Hickel’s attitude is perhaps the biggest danger to the world economy. People everywhere in the rich world seem to share these mistaken attitudes. Obviously, that was a big motivation for Pinker’s book and those of others but we’re going to need a lot more to fight this. In not unrelated news, the 2020 US Presidential race seems to be shaping up to be a battle over what to do about billionaires. This will be a good thing if it revolves around income inequality and a more robust safety net but a bad thing if it ends up being a general fight against the global economic order and free trade. Unlike Pinker, I am a natural pessimist, and I am easily scared. I find quite scary the concerns about income inequality and the war against billionaires that some liabilities of the Democratic party want to wage. In my country, the war against the rich has already been fought, with dismal results. It was forced by a superpower (USSR) which had fought this war before, again with dismal results. This coming “war against the rich” is a Republican fake story. All Dems are arguing for is a return to tax structures more like those in the 60s and 70s. Ironically, those were the “good old days” that Trump and ilk yearn for, at least economically. Most people in the US still like the idea of getting rich. It’s the yearning to restore lost economic mobility that elected Trump but the Dems have a much better shot at it. I recently read Ocasio-Cortez pleading for 70% taxation of the rich. Then, maybe yesterday, I read Omar pleading for 90%. I am just waiting for someone (Tlaib?) to suggest 95%, then 99%. Years ago, taxation policy was discussed before every election in my country. The populist left always promised to tax “the rich” for greater income equality and to benefit “the poor”. Whenever I heard some seemingly sensible person approve this, I told him to look their tables with the numbers. Those who listened to me, invariably bit their tongues, for they turned out to be among “the rich” who should be taxed if they move. Finally, we settled on 20% VAT and 10% flat income tax, thank you very much. Not “70% taxation of the rich” but the highest tax bracket would have a 70% rate. This is another Republican fake news story. They pretend not to know the difference. I believe the tax formula AOC was talking about would tax at 70% the amount OVER $10M. That’s a big difference. Think of how rich one would be making $10M a year! The funniest thing of all is the US DID have 70% tax rates, even as high as 90%. From the late 1930s until the early 1960s marginal tax rates for the wealthy ranged from 70 – 90%. This was under both Republican and Democratic administrations, of course the parties then are nothing like they are today, but still. Oh and I should point out that the late 1940s and the 1950s had some of the strongest sustained growth in the history of the US economy. So the argument that it will kill growth is coming out of the south end of a northern bound cow. Right, I’ve mentioned this in an earlier comment though I think I said into the 70s. As I also said, a strong case could be made that this taxation scheme is responsible in large part for the high growth rate and general economic happiness of the period. I cannot make any sense of this vague speech. If I were a rich American, I wouldn’t feel my first ten millions safe. Actually, I don’t assume that you get your news from only Republican sources though I can see why you might think that and I apologize for implying it. I’m not sure why you think this. There might be a few Communists who would go along with taking all the rich’s money but hardly anyone else. It is just not a fear that anyone really has in the US. The other that might say this are rich people who want to trick voters. I fully expect Trump to say this many times in the run up to the 2020 election but we all know he lies. As far as understanding how tax brackets work, they have been a feature of our tax system for a long time. In the UK in the 60’s the top tax rate was around 95% as documented by George Harrison “Let me tell you how it will be. It’s one for you nineteen for me.” However, British tax rates operate in a series off bands. Income up to £11,850 is not taxed at all. If you earn less than this, you pay no income tax. If you earn more than this you pay tax on your income after subtracting £11,850. The next tax band is from £11,850 to £46,350 and you pay 20% income tax on that and there are two more bands above that. The reason why British tax is structured like that instead of just using a flat rate is that a flat rate affects poor people much more than rich people. Deducting 10% of a rich person’s income might mean they have to forgo their third yacht (this is a really rich person). Deducting 10% from a poor person’s income might be the difference between being able to afford the rent and not being able to afford the rent. Dunno about this poverty thing, boss, but that’s one of the best-turned sentences I’ve read recently. What about all the COMMON properties we now have. Say, for instance, beaches and parks? It is always pretty easy to recognize someone on an agenda such as Hickel because he points at Pinker or Gates as the source of this discovery as if we are just basing it all on opinion. We see this done everywhere now as the standard in articles and comments on the internet sites. The opinion is used as justification for their argument. It is done right here on this site in comments as well but that is another story. People cannot help it. When it is published in this way, of course it is a greater mistake. When one reads a proper history book you look in the back for references and notes that usually run for many pages. This is part of knowing you are reading real history. Take a look at all the so-called history books by Bill O’Reilly and you will see nothing in the back except the last page. I should have added, take a look at what just happened with Trump, no surprise. He told all of his Intelligence chiefs they were wrong and needed to go back to school. This is a stupidity that has no equal and is reason enough to get rid of this guy. Is this a particular case of ad hominem? That’s what I fall back on – is this ad hominem or not. In this case, the headline itself shows us it is ad hominem. Also that by dismissing people who have cited these data as “mansplaining” he is close to, if not actually, engaging in ad hom which is no way to argue in good faith. My sense is that Hickel is conveying the kind of folk wisdom that is passed around with a great deal of certitude in fairly insular circles. 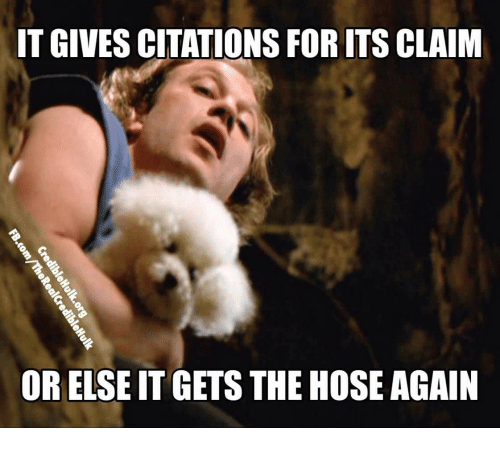 I think it can be easy to fall into the trap of not even realizing that citations are needed because of a solid sense that ‘everybody knows’ this or that – until you run into a group of people who say no, I don’t know that to be true. In that sense, it’s probably good that he’s airing these views for public discussion, and hopefully some good will come of it. And the data don’t suggest things will be great forever. Pinker says that in his Better Angels book – there is no telling what the future might hold and we could be in trouble if things change or suffer through a blip that in the long run is insubstantial but at our level, living through it, is horrendous. Next Guardian headline. Pinker: Let them drink beer! One of the most important things that the Norman Conquest brought to England was hops. At the time, everybody in England drank “ale” which was made by fermenting just about anything and tended could be up to 12% alcohol. And when I say “everybody” I mean everybody. The water was far too dangerous for human consumption. Hops are a natural disinfectant and they allowed the ale (now called “beer”) to be brewed with alcohol levels of around 4% which meant everybody wasn’t completely pissed* all the time. *English meaning, not American meaning. There seems to be an offshoot of the “noble savage” myth around the idea “subsistence farming” as some sort of Eden where everyone was happy and free and everyone shared equally… it’s all utter nonsense. The smallest disaster was absolutely devastating. A flood or drought could kill entire populations. Disputes were as likely to be dealt with the sword as with reasoned arguments and the majority would brutally repress any minority group or opinion. And then the “Enlightened” Europeans arrived and brought all the savages technology and happiness? And just coincidentally the Europeans made billions? You and Pinker seem awfully close to repeating the ideology that led to colonization in the first place. Not quite there… but close. Not close at all. Where do you think Pinker is suggesting colonization occur? Non Sequitur of the day ! The “savages” already had technology and whatever share of happiness they could create. That technology was less advanced than European technology in some cases (long distance oceanic travel is an obvious example) but more advanced in many other cases. In what areas were their technologies more advanced? Just wondering. A gunpowder using weapon that propelled a spear is known from China from around 1000AD, breech loading weapons were used by the Majapahit Empire in what is now Indonesia by the 1340’s (they even had guns mounted on naval vessels). This technology spread west to Europe either with the silk trade or the Mongol conquests. Drilling salt wells starts in China over two thousand years ago, by the 1030’s percussion drills are used. The Chinese by the Qing Dynasty could claim the deepest well in the world. Along the way they created bamboo piping that carried the brine across the landscape for miles. They also discovered that the air (natural gas) from the wells could be used to feed the fires to boil the brine – bamboo pipes were also used to transport the natural gas. At the time of it’s conquest by 300 Spaniards and their 10,000 Native American allies, Tenochtitlan was a city larger than Paris. The city though starting from an island had been built up from the lake floor by sinking mats filled with stone and earth. This was done in the 1300’s and 1400’s. The Dutch building of land from the sea is later. The Aztecs had enclosed sewers (stone troughs covered with flagstones), in Europe it was common for raw sewage to run in the streets. Some dwellings in Tenochtitlan had hot and cold running water. The hot water was boiled then piped into the room where it was used. Some of Cortes’s men traded their metal armor for native wood and fabric armor as it was both lighter and more effective at stopping arrows. Well, among the many technologies they lacked, they had neither wheels, printing presses or metallurgy. Simple but essential technology that marked some of the differences between them and some of the main reasons they could not stand up to the invasion. Of course, the peoples of Asia and North Africa had the wheel for just as long as the Europeans. But surprisingly, while the Native Americans did not use the wheel for vehicles wheeled toys have been found in Mesoamerica. This is not altogether surprising if one remembers that there were no large animals in this area to pull them (other than humans) until the arrival of Europeans. The Europeans hoped to make billions, but had little success. Particularly Spain learned the hard way that gold has no intrinsic value and you cannot make your country rich by hoarding it. I suspect that the colonies were a net loss, therefore they were given independence when the metropolias could no longer waste resources on them. Britain made an absolute fortune out of its empire in the 18th and 19th centuries. In modern terms, it would probably be trillions. Which parts of the World that the Europeans colonised were still subsistence economies? I’ll give you Australia as a starter. When reading EN my main thought was “isn’t this all just a statement of the bleeding obvious, surely this doesn’t even need saying?!”. It is quite staggering how historically ignorant these people are. Do you need reminding of the devastation that colonization brought? Devastation that endures to this day? Your only argument is that the good outweighs the obvious bad — and that’s debatable. Colonization has brought much devastation. However, about “enduring to this day”, countries that have never been colonies, such as Nepal, do not seem to fare better than former colonies. Personally, I frown when the problems of my country are blamed on the former colonizer. This offers no solution and is a recipe for misery. Human populations have been bumping into each other for millennia. Sometimes they are absorbed, sometimes the result is subjugation or genocide. The peoples of the Americas had a long history of doing just that to each other, just as the Europeans did. And certainly the Asians and Africans. The English saw themselves as people descended of savage tribes, who had been colonized and civilized, and thought that they could have just as civilizing an influence on the peoples of North America, and profit in the process. Obviously it did not necessarily work out to everyone’s advantage. Which is an understatement. But the same can be said for vast numbers of peoples, all over the world. A reasonable argument can be made that at the time of colonization, North American civilizations had already peaked, and were in decline. Many people lived subsistence lifestyles in areas strewn with the ruins of dead civilizations that had once built vast monuments and complex agricultural systems. But you just cannot simplify something so complex into simple terms, with everyone wearing a tag that says either “oppressed” or “oppressor”. “…saying we shouldn’t complain about rising inequality ..” It’s always a statement like this from Pinker’s critiques that outs them as pushing an empty agenda. Pinker never says anything of the kind. And even if he did, why should we complain about rising inequality? To me, this sounds like complaining that someone else lives well. 1) If the top or middle grows and thebottom or middle shrinks, then this provokes inequality at the direct expense of the worse off. 2) Also, if for example education is not available to all because it is only affordable by the more affluent, the poorer suffer not just economic but other depreviations (this is where inequalities of outcome affect inequalities of opportunity). Not sure what subspecies of Marxism Hickel subscribes to, but Marx himself discussed at some length the power of industrialized capitalism to generate worldwide wealth. His main thesis (if I may make bold to summarize it) was that the work of the proletariat was soul-deadening (metaphorically speaking) and that their liberation lay in their taking ownership of the means of production. Marx never argued, so far as I know anyway, for the idyllic superiority of agrarian or hunter-gatherer societies. Thank you. I’ve read an author somewhere who said that Marx had in fact overestimated the power of 19th century capitalism and that is why he felt communism was a realistic possibility. Marx had great respect for the power of capitalism. (Whether that was an “overestimation” is a point that can be argued endlessly, I suppose). But the notion that economic well-being was greater in pre-industrialized societies would have been inimical to his concept of a progressive historical materialism. Is this meant to be a rebuttal? Are you suggesting that your data shows that, in fact, the world is really getting poorer? Good eye. A likely sign that someone is trying to push an agenda in a not so honest manner. Bad writing, maybe, but the phrases were not exclusive. Look, it is true that in some places of the world the number of people who are facing hunger changes over time and I am sure, if you pare it down to fit, you will find places where hunger in increasing from past norms. But most of the world has a problem with malnutrition (not hunger; suboptimal food quality) and too many calories, hence the worldwide epidemic of obesity, diabetes and other metabolic diseases. Maybe Jack Sprat and his wife represent a global microcosm. It can be *both*. If one cannot afford (say) fresh vegetables and yet can (due dumping, protectionism from first world countries) one will both suffer obesity and malnutrition. I saw the Hickel article link earlier, and clicked out of curiosity. As soon as I saw the bit where he tries to drop China out of the mix, I knew it was more from the socialist BS crowd, objecting to the idea that capitalism is ever successful. China is of course huge, you can’t just drop it. And he would certainly not have if they were still mired in poverty. Cherry picking for socialism. Hickel should be pleased that China is moving away from a money-based economy, to one where citizens earn and spend ‘conformity points’ as tallied by surveillance cameras and reports turned in on you by your friends & colleagues. The latest advance in this march toward progress is facial recognition cameras in classrooms, which will automatically alert the teacher when a student shows boredom or disinterest. Where’s the graph for that, Comrade Hickel?! Hickel’s point was more or less correct here. If Pinker’s point was that “liberal democracy” produces better outcomes on certain things one has to be on the lookout for possible counterexamples. China shows that LD is not necessary for certain sorts of economic growth. Is this a desirable way to go? I certainly wouldn’t want to make the tradeoff, but that’s perhaps because I already live in a place with 1st world economics and reasonable environmental standards, etc. This article tries to convince us that the wannabe illegal immigrants from the caravan are driven by climate change, yet features a family with 4 children. If a population doubles with every generation, no climate will be good enough. Speaking as a 1000-year-old man, I often reminisce about the good old days of the Middle Ages, before capitalism ruined everything. With our “abundance of resources”, we peasants hardly had to work at all, but just sat around all day strumming our lutes and snacking on our mead, curds, and pottage. It was easy to pick these healthy, nourishing food items from the mead, curd, and pottage bushes in our village commons, and for a treat we would pass around a communally owned roast pig or rabbit. In the evenings, we nibbled on slices of bread coverd with honey, distributed to all at our Marxist study groups while we discussed the latest issue of The Guardian. Amusing, but consider the example of native Americans before and after the Europeans arrived. Have you been to a US Indian reservation even now? The Europeans may have brought some baubles and cash but what is a loss of culture worth? You know, when I was a lad one of the last “full blooded” Pequots (a tribe in Connecticut) by the name of Tantaquidgin and his more famous sister (whose name escapes me) came to our school to give a talk on his tribe. One of the many things that stuck with me was his admonition to us to stop treating pre-contact Native Americans as some kind of Utopian society, free of the nastiness of the European way of life. They tried to explain that though the customs were different, Native American society suffered from the same ills as everyone else did – there were periodic wars, hunger and starvation haunted many, they suffered from intertribal hatreds, there were criminals and power struggles and people made up stories to explain away their cruelty. In short, they thought it was very condescending to think that Native Americans weren’t human. It’s also true that they suffered a genocide at the hands of the Europeans and we Americans, today, have a lot to atone for especially in regards to the way we handle the reservations. But like Tantaquidgin, I think you are putting too fine a shine on them and by doing so, lessen them. My friend Raven would always say: you claim to want to live your life the way you want, to make your own mistakes, to do your own thing and so on. The crime of the colonial powers was that this right (to be left alone) was not granted to the peoples in the Americas, etc. It is *irrelevant* that these rights were not honoured here internally. *accusations of hypocrisy is a weak argument, to say the least*. … a half-decent chance of seeing their kids survive their fifth birthday. Hickel conveniently ignores the last of Gates’ graphs, the one titled “Child Mortality”. … a situation where most of humanity had no need of money at all …. They had little if any money, but then they didn’t need it in order to live well …. Feudalism was a money-free economic system. So those peasants & serfs must’ve been really happy until “forced proletarianisation” came along — amirite, comrade? I am reminded here of St. Augustine who bemoaned the habit of Christians who travel to far away lands, only tell the locals stuff that the locals know are wrong. So too the critics of Pinker et. al are deeply discrediting themselves by making claims that any semi-conscious person ought to know is simply false. They undermine the real argument — which is a very proper and important argument — that there is still poverty and suffering and inequality, and that we can and should work to do better. My guess is this formulates an ‘origin myth’ in the latest desperate attempt to rehabilitate and resuscitate marxism — an ideology responsible for the greatest amount of human misery in the history of mankind. Hunter-gatherers were proto-marxists, ya see, holding everything in common and sharing equally. Then coerced proletarianisation happened, then colonization happened, then (something something Stalin wasn’t all bad something), then the Davos Set and Bill Gates and the rest of the Lizard People took over. Now all we need to do to atone for our white elite guilt … er, to save the world, that is, is to get ourselves back to the garden. “Chief” is an interesting point. The record seems to show that the translation was not always correct. “Ambassador” seems to have been a better one in some places. In yet others, “war leader” (i.e., a title granted for resolving a potentially violent conflict) would be more correct. And yet others, “chief” as understood by Europeans. And still others again a tradition existed that those who disagreed with the consensus embodied by the “chief” or others could simply leave or disregard. The Europeans treated all NA groups as politically the same, which is ridiculously false. I think the Plains tribes measured wealth through ownership of horses. The Chief had the most horses, natch. And individuals and tribes were continually ‘appropriating” horses from each other in a pursuit of wealth. Horses were introduced to the Americas by Europeans, so this could not have been a pre-contact part of their society. Nevertheless, these horses were originally from Europe and, hence, infected with toxic whiteness. That’s about the only way in which I could be considered a rich man. Pinker and Gates may very well be correct that average well-being has improved considerably over the past two centuries. Therefore, there is no reason to get bent out of shape that income inequality is increasing and that the top 100 billionaires hold more wealth than the bottom 50% of the population (these figures are from my memory, I may be slightly off). There is one major problem with this situation: it is a threat to democracy. Do we want an oligarchy controlling the political and economic destinies of the U.S. or any other nation? Can we trust it with making major decisions while throwing the masses crumbs (relatively speaking) to keep them complacent? Moreover, there is no assurance that the current scheme of things will continue. If for a prolonged period of time the masses perceive a downward trend in their living conditions, they may turn against the oligarchs. They will not be assuaged by being told that they are still living better than people two hundred years ago. In point 7 of his email to Professor Coyne, Pinker takes a jab at those who cannot accept that these myriad improvements have taken place under a capitalist system. I think it is true that many of his critics are disappointed that capitalism has not failed, at least until now. But, there are varieties of capitalism. Pinker seems content with the present version where a few individuals can accumulate enormous quantities of wealth where there is enough left over to appease the masses. Then there are those who accept the tenets of capitalism with the proviso that its excesses must be contained. As an analogy, a person who is sick usually gets better by doing nothing more than letting the body heal itself. But, there are times when outside intervention is necessary to return the body to health. I believe that the capitalist system is ill, as manifested by the extreme disparity in wealth and income. Through regulation and taxation, the system can be restored to health. This was the underlying philosophy of FDR and the New Deal – capitalism should not disappear through its own self-destruction. It needs to be saved from itself. I don’t think Steven Pinker suggests these trends are destined to continue. He makes it very clear in Better Angels that it could all go to hell. I think he is simply looking at what the larger data trends are. He also doesn’t suggest that this trend in increased overall wealth is synonymous with egalitarianism. That is a separate data set. Not to say you couldn’t correlate them but that’s not what this particular article was about. But is all this really a problem with capitalism per se? I don’t think so. Many capitalist countries are happy, based on the opinions of citizens and economic statistics. The failures in the US are due to problems in the implementation of capitalism. Government has failed in its governing of capitalism. Words matter. When people talk of “capitalism’s failures”, it is naturally going to be taken to mean there are problems with the defining tenets of capitalism. There seems to be many that would like this to be the case so they choose their words accordingly. They really have problems with excessive private ownership and making a profit. However, these basic tenets of capitalism are not the problem, IMHO. Most of us like owning stuff and making profit. And, as Pinker shows, this attitude has been good for the world. I believe capitalism works in general but I don’t like income inequality, lack of an economic safety net, market failures in certain areas such as health care, etc. When I want to fix things, I don’t talk about capitalism’s failures but these individual problems and their solution. Capitalism, as you suggest, is amoral. You can’t expect capitalism to solve moral issues. You need other mechanisms to do that and often those come in the form of controls that are codified into various laws. Perhaps not amoral but morality-neutral? If so, then I would agree. Well, that’s what amoral means (unconcerned with the rightness or wrongness of something). Technically, you’re right but, unfortunately, that is not the way most people would interpret “capitalism is amoral”. Thos of course they could be forgive since “moral” has definitions that talk about both concerning ethics and behaving ethically. I don’t think we disagree when you say “the failures in the US are due to problems in the implementation of capitalism. Government has failed in its governing of capitalism.” Through regulation and taxation, the government can take actions to prevent capitalism from self-destruction, along with the threat to democracy by the oligarchs. Trump and the Republicans reject this approach. Indeed, they are doing the exact opposite through the recent massive tax cuts for the very rich. There are very few politicians on the Left (people who actually have a say in making policy) who wish to see capitalism replaced with a socialist system. I’m not even sure Bernie Sanders would go that far. The debate is over what variety of capitalism you want. I agree, but I view the monitoring and nudging by government to be an integral part of capitalism rather than an externally applied rescue function. For example, we have many markets (health care is a big one) where consumers do not even have access to prices or any way to assess product quality. Government should have been setting standards to ensure that capitalism operates properly. I also agree that most politicians are not against capitalism, although Republicans like to portray them that way. I worry more about the general public. Too many left-leaning citizens talk as if the problem was capitalism or world trade proper. Taxation is needed to give the government funds to carry out its functions, including measures against poverty. However, from what some new Democratic Congress members say, it seems to me that some want taxation to reduce income inequality directly, i.e. to take away as much from the rich as to make them not so rich. I find this idea very dangerous. You are right that a rich minority creates a danger of oligarchy. However, I think that this danger must be neutralized by institutions and mechanisms protecting democracy (e.g. against buying of votes) rather than by expropriating the rich. That’s yet another Republican spin. Obviously taxing the rich does tend to redistribute wealth but the implication is that the poor don’t want to work and expect money from the rich to enable it. Just like trickle-down economics, that has been shown to be false many times. A better way to look at it is the rich get that way from employing the poor and selling goods and services to them. Taxing them helps restore the balance. Also, opposite to what they’d have you believe, rich people will still get richer by making more money. Higher taxation does not turn them into poor people or even middle class. In my country, the war against the rich did not redistribute wealth but destroyed it. As for “the poor not wanting to wark”, it depends on the poor. My district has plenty of exactly these poor, some my friends married such men, and my husband tried a joint venture with such a poor man… and fled screaming. I am personally supporting one poor guy who does not want to work and expects money from richer people such as me to enable it. I am not sure I am doing the right thing, but even if he suddenly wants to work, no sane employer would take him at his current stage of cirrhosis. Yeah but Maya, unlike in your country no one here is talking about an actual war against the rich. All we want is congress to adjust the marginal tax rate. The rhetoric of violence and absolutes can kill any hope of progress. Well, the rich and their Republican lackeys are CALLING it a “war on the rich” but, as you say, it isn’t. Right, because they want to kill it. That kind of rhetoric will do it. What they are saying is; “No one wants a war, so no one should want to raise the marginal tax rates”. It will work. We are just talking about going back to a taxation scheme like we had in the 70s when the US was growing very fast. Unfortunately, since then the rich were hoping they could keep the growth rate high while keeping more of their paycheck. Since they had most of the power, they ignored the inconvenient fact that the growth was tied to upward economic mobility encouraging people to work hard. What does cause the poor to want live off the government or the rich is the perception that working hard won’t make much difference to their wellbeing. With no hope of making things better, why bother trying? In addition to what you said, it should be noted that in the U.S at least the tax system has been used to promote social ends, not just as a revenue system. The deductions from income for mortgage interest and property taxes are used to foster home ownership. The charitable deduction exists so that more people are likely to give to charities. Thus, higher taxes on the rich to promote more economic equality is well within the tradition of the American tax system. The already existing estate tax is a method that reduces wealth inequality, although the Republicans would love to get rid of it and have been successful in recent years in reducing its impact. Yes, good point. Many economists are in favor of getting rid of those deductions as they distort the marketplace and allow the rich to game the system in order to avoid taxation. A similar situation exists with industrial policy as government is particularly bad at picking winners and losers. Still, some deductions may have merit as well as some industrial policy. Government funding of basic research is also worthwhile. I would be in favor of having laws that establish deductions, grants, industrial programs, etc. have a built-in time limit or numerical goal that, if not met, causes them to die. The problem is that most of these things are beneficial at inception but institutions grow up around them that are hard to destroy. Couldn’t agree more. The obscene income inquality we see now may well bring the whole democratic system down. Another point: there is good evidence showing that income inequality is bad for all of us, and the more equal societies do better in almost every respect: higher life expectancy, fewer homicides, fewer teenage pregnancies, you name it. Google “Wilkinson and Pickett: The Spirit Level”. Something is missing in that sentence. It’s goal of having extreme poverty … what ? I can’t believe *I* wrote “it’s” instead of “its”. The devil made me do it’s. Marxists have a whole list of things that they have to believe to justify their desire for revolution. First among those is the idea that modern Western society is an oppressive dystopian hellscape that must be destroyed for positive human progress to be made. That means misrepresenting almost everything about the past, and about life in tribal or primitive societies. It really infuriates me when my kid visits from university and tells me some of the garbage he is being taught. At first, it just did not make any sense that they were teaching things that were obviously and provably false. I had to spend enough time listening to just what they were misrepresenting until it started to make sense that they were trying to change history to make Marxism seem like the inevitable and sensible solution. It should be a crazy and conspiracy-minded thing to make such allegations. that it is like dealing with an alien species. I was taught that what matters above all else is that which can be proven to be true. Show me facts that my theory cannot be true, and I have to discard the theory. But we are dealing with people who have no reverence for truth or evidence. Some dispute with a straight face that objective truth even exists. So any attempt to debate them is as useful as banging your head against a wall. These people are going to bring a new dark age, if we don’t do something soon. I agree with the last sentence. This is very worrying. Marx’ ideas were founded on a profoundly wrong concept of human nature; his predictions all failed; marxism in practice has been responsible for the greatest amount of misery in human history. That the Humanities academy not only tolerates marxists, but is positively crawling with them, is a travesty and a real danger, no less so than were astrologers welcomed in Psychology, or faith healers in Medicine. The trickle down theory of economics does not work. I don’t know if the charge that Gates and Pinker said we should not worry about rising inequality. But if they did say that they are wrong. Any economist will tell you that. Wealth unless unchecked will accumulate among the top .0001 per cent to the extent the middle class will disappear, and so will democracy and order until the wealth inequality is resolved. This has happened over and over in history. Anyone who has read English history and the enclosure laws would agree that the transition known as the industrial revolution was disastrous to the population of England. Populations were forced to move to the cities through no choice of their and died their quickly yo be replaced by others forced to take their places. That statement that life was brutish and short in mediviel times us uncorrect. It was originally used to describe life before the transition to farming from hunter gathering, but it was also incorrect about life of the hunter gatherers. No. They didn’t say we should not be concerned with inequality. Life in medieval times was shorter and more brutal than now certainly, so what exactly are you saying? Better now for industrial workers because of the passage of the progressive legislation and union activity around the beginning of the twentieth century. Child labor laws were passed. Dirty hour work week was established. Those are just two examples. Those efforts were not made and accomplished by science but by men and women in political fields mostly. Moralists. The immediate life of the industrial workers until laws caught up with the changes was not better than life before. It was much worse. Science and technology creates change. But lawyers, politicians. activists, philosophers, moralists and religious leaders follow and force the adjustments to improve quality of like. Sorry. Make that forty hour. Does that come after Happy Hour ? In fact, the game was originally created as a way to teach the dangers of unrestrained capitalism! You are correct about Hobbs. But he was not bore to. He was talking about man in his natural state. Living in s state if nature, which I translated to the hunter gatherers. They did not have a name for hunter gatherers at that time. My belief is that’s what they referred to as primeval was in fact Hunter gatherer. Man lived by hunting and gathering before they turned to farming. I think Hobbes is correct. Even J. Diamond, who idealizes non-Western societies, points out that in societies without centralized rule, violent deaths are rampant. Well, as I said, Hobbes was talking about primeval man; I was responding to a mention of the phrase in relation to medieval man. It was my shorthand for “man in the state of nature”. So I think I got that right, at least. Thanks. Mises disputes this, and I agree with him. After all, if the industrial revolution was so bad, the population could simply boycott it and stay in the countryside. But this was impossible. To begin with, there were more people than the countryside needed. Moreover, it is said that landowners switched from crop growing to sheep farming for more profit and this destroyed many jobs (“sheep ate humans”). It was hardly the fault of capitalism that peasants did not own the land they were working. I am more inclined to believe those historians who blame Britain for artificially keeping Ireland rural, i.e. preventing industries there. Not sure they did not own the land. They certainly had rights in it. But those rights were ignored. Capitalism (or the owners of the factories) needed the workers. The only way to get them was to kick the people off the land they had been on for generations. I don’t see any mechanism by which capitalists in the cities could kick the people off the land in the countryside. Do you? They used people who had already fled to the city from the rural “paradise” where generation after generation were trying to feed themselves off the same land, but every generation doubled in number. They had influence in parliament. That was the mechanism they used. Getting laws passed to reshape the country. Can you cite any specific example? The Great Transformation by Karl Polanyi, Chapter 3 covers that period. He discusses the enclosure laws. The people who worked in factories didn’t own the land. Some were almost indentured slaves. The way they handled it is they moved to the colonies where they might enjoy some social mobility. Jason Hickel exemplifies the paradigm that has emerged in the generation now in their thirties or younger, that colonialism is such an all-encompassing and unmitigated evil that there is literally no ill that cannot be linked or attributed to it, believed about it or blamed on it. No possible benefit that might have resulted from it, even an unintended one, may even be discussed. No examination of motives is allowed. The very idea of considering positives as well as negatives is implied to be so morally squalid that doing so is regarded as equivalent to endorsing slavery or murdering puppies. Despite being a view of an ostensibly historical topic, historical evidence is ignored in favour of rhetoric and unsubstantied assertion. It’s a position that simply attempts to browbeat evidence-based views into silence. Having taught about humans and carrying capacity for 35 years my conclusions are at complete variance from those of Pinker. When I graduated from high school in 1955 the worlds population was estimated at about 2.8 billion. These days the estimate is about 7.7 billion. The simple math is that in that part of my lifetime there have been moe than 5 billion people added to the Earth. There is a limit. One phrase which I used frequently is “Carrying Capacity Increasing Factors” like tools (wood, bone stone metal all in increasing complexity and with domestication of plant and animal species. Each increase was in response to the need for more food and each increase required the evolution of more complex societies. Groups of humans, whether living in small bands (ca. 25-40) or complex societies 20,000 to 200 or more million (what we call civilization) are (as I have said many times) no more civil than humans are humanitarian (remember the Auschwitz pictures). The Middles East (birthplace to ever warring societies and religions) has never been stable since the first villages were established. China built its trumping wall to absolutely no avail and an estimated 65,000,000 Chinese died under Mao. It is quite possible that Pinker is correct that overall the world has never been better. It is also possible that the world has reached its apex in terms of prosperity, health, etc. The demands on the environment may dictate a decline regardless if even world leaders take dramatic action to resist this, which is not very likely. This may not be the case, but the present doesn’t predict the future. The coming decades will determine if liberal democracy undergirded by a capitalist system can successfully confront these challenges. If it fails, the world will look very different in a few decades in terms of political and economic systems. Yes, I think the prosperity we have now is being bought to a large extent by using up natural resources. And the worst part of it is that so much of resource use is not even necessary. Liberal democracy states will not be enough. China, Russia et al will have to join in. I agree. To me, overpopulation is problem No. 1, more important than climate change and wars, because it is causing them, and many other disasters. Sorry, have to disagree. While there is no denying that each problem is made worse by having more people, the current crisis is caused by overconsumption by the (we) rich people. And yes, it is a link from the Guardian, which also produces al ot of good stuff. I regard poverty as a problem, not a solution. If there were just 1 billion of people, I suppose the Earth would be in a far better shape, even if they were overconsuming. India is running out of water. Is that our fault, too? Once again Pinker is not defending the data but the very fact that he put a book together showing the data, statistics, observations of a trend for whatever reason, doesn’t sit well with their (Hickel’s) worldview. Nth Korea is keep in poverty by a egomaniac ideology not a system as such. ‘Local’ wars probably have the same effect and who, bought the expensive hardware to conduct these wars? War is not cheap but lives are? It is here that we come up against not poverty but waste. Possibly they are two sides of the same coin. Would we have not improved the lot of large swaths of the population if it were not for so much waste? Waste of money, waste of resources, waste of time and energy. Poverty that is to say, is one measure of a basket full that needs attention. Pinker’s books have been like an audit on the humans’ civilizing and pacifying processes, it’s been ugly, revealing and interesting and not by any means, OVER. Interesting you should make that comment about waste a few days before the Super Bowl, to be played in a billion dollar plus stadium. I was born over 7 decades ago in a small andean mountain town of about 7 thousand people. Life was rather harsh then. No electricity, no running water, no roads and travelling around had to be done by foot or horse through muddy pathways. Most people were barefoot. Sickness was all time present issue and most people died at an early age (less than fifty years) of “natural causes”. Today this town is one of the e ecological, cultural an folkloric centers of the region with housings having electricity, running water, toilets and gas kitchens. Everybody is employed and late model cars run through a panoramic road. Is this progress? I definitely think it is. After living for over 5 decades outside, I have decided to retire there. I think it is a little hidden paradise and example of the transformations the world is going through. This is a quite bizarre. Steven Pinker (whom I like reading) approvingly links to an article at Koch Brother’s Cato Institute which alleges Hickel once “linked to an article at Marxist.com” on twitter. Apparently, this is the damning evidence that Hickel (but not Steven Pinker) is an ideologue. I thought the stereotype about anthropologist is that they are afflicted by that “rot from Paris”, post-colonialism and post-structuralism. Let’s say that the data should determine what gets closer to the truth, not who links to what website. I find Pinker’s presentation more plausible, though. The reaction to Pinker from the left boils down to one thing, in my opinion: As long as anyone is in poverty or oppressed in any way, real or imagined, it’s unseemly to crow about how much progress we’ve made, and data be damned. All these pessimists’ backlash to hearing optimistic news made me think of science communication. Perhaps we’ve been emphasizing what we don’t know so much that we’re allowing anti-science to push their own agendas. If you see a pingback from the Daily Tokoloshe, that’s my take on the whole thing. In relative and absolute numbers, how many people in 1819 didn’t have what people were supposed to have, or should have had in 1819? How many in 2019 don’t have what people in 2019 are supposed to have, or should have? Right, can’t have that “social justice” agenda anywhere, can we now, boys? Pinker/Coyne are trembling with terror at the thought that others think them bootlicking apologists for empire. Watch out for whipped cream pies and chocolate frosting. Did anyone read Hickel’s follow up that is linked in this article (but sadly not addressed)? He goes on to provide citations and more discussion around his point of view. Definitely more comprehensive than Pinker’s response. The truth, as always, is somewhere in between. It’s easy to look at such a chart and think “we’ve achieved so much” and yet when a person speaks out that maybe we have got a long way to go, they are dragged through the mud. Citing Hickel as a Marxist and social justice warrior is an ad hominen attack to detract from his arguments. If that’s acceptable then I feel comfortable in calling your link Ryan Bourne and the CATO institute as fascist. I think the problem rests solely on “maybe we have got a long way to go” NOT being a reasonable rebuttal to Pinker’s thesis. This is the mistake made by most reviewers. Pinker looks back and sees we’ve made lots of progress using Enlightenment techniques. SJWs see that positive message as opposing their efforts going forward. They are wrong.